1. Conduct a session in order to gather information and details in order to establish your goals, wants and needs in your property search. 2. Offer to provide you with information on lenders so that you can arrange to have a pre-approval or pre-qualification performed. 3. Agree to provide you with and adhere to a schedule that’s convenient to you during your property search. 4. Complete appropriate market research to find properties that will meet your goals and needs. 5. 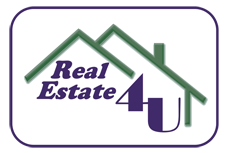 Prepare a CMA (comparative market analysis) for you to review before you make an offer on a home or property. 6. Prepare a written offer to present to the sellers of your offer to purchase the property, including any contingencies and conditions you require. 7. Provide assistance in negotiations. 8. Acquire information pertaining to properties and present them to you. 9. Recommend that a professional home inspection be performed and then review the outcome with you and suggest solutions to the findings. 10. Monitor the progress of any contingencies and communicate the progress with you. 11. Attend the final walk through of the property with you, if the walk through is included in the contract. 12. Get in touch with you after the closing has happened to make sure all of the details have been completed and that you’re satisfied. 13. Provide you with the choice of evaluating the services in which you were provided through a quality assurance survey.